Chris Farley was a talented and well-known actor and comedian. He studied improv and was part of Chicago's Second City Theatre. 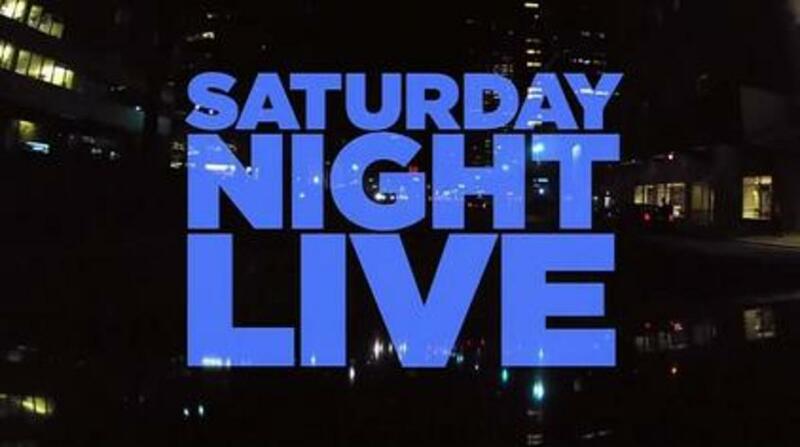 In 1990, Farley was made a part of the cast of Saturday Night Live. During this time his popularity grew, and he began doing film projects. Farley was known for his abuse of drugs and alcohol. This ultimately led to his death from a drug overdose. Chris Farley was born in Madison, Wisconsin on February 15, 1964. He grew up in Maple Bluff, Wisconsin. 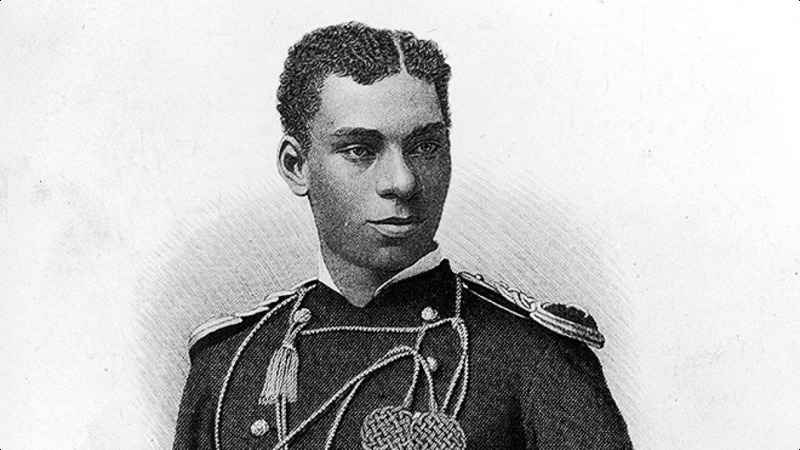 His father was Thomas Farley Sr. and owned an oil company. His mother was named Mary Anne and was a homemaker. Farley also had four siblings, three brothers, and a sister. The Farley family was Roman Catholics and Chris Farley attended Catholic schools including Edgewood High School of the Sacred Heart. 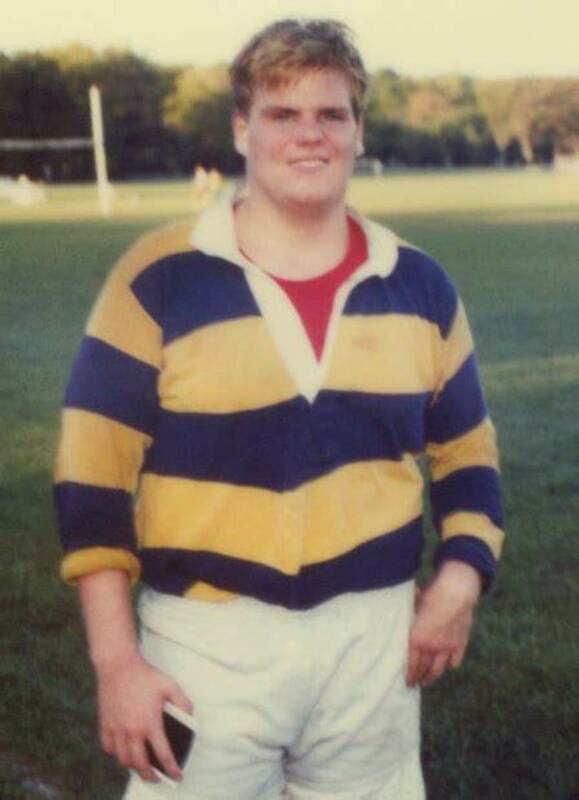 After Chris Farley graduated Marquette University, he went to work for his father at the oil company in Madison, Wisconsin. 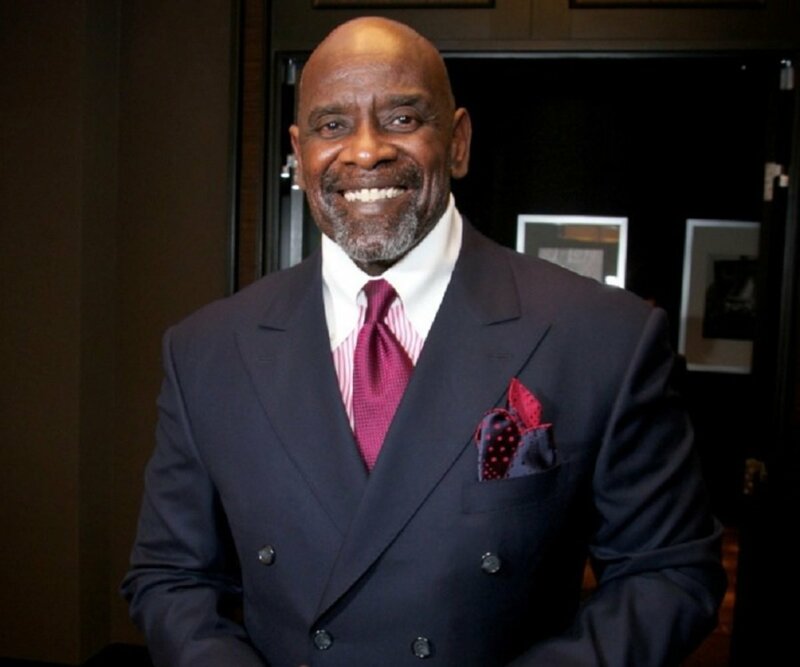 He then began working at night in professional comedy at the Ark Improv Theatre. 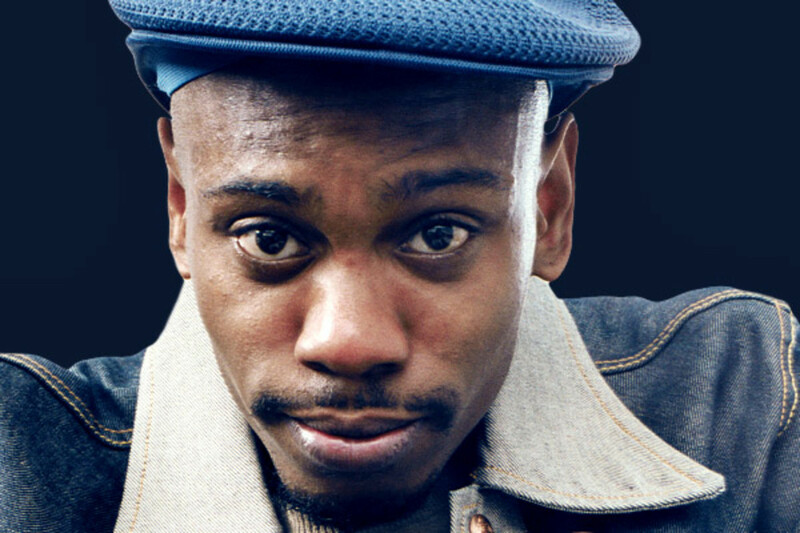 The next move in his comedy career involved working in Chicago at the Improv Olympic theater. Farley then started performing at Chicago's Second City Theatre. 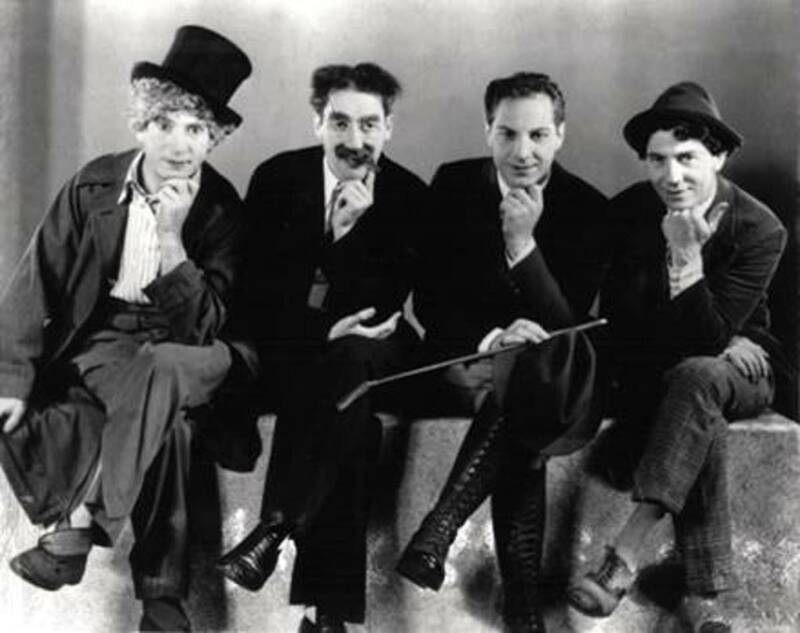 He started as part of the Second City touring group. In 1989, he was eventually promoted to their main stage. Farley was a cast member of three different comedy shows: Flag Smoking Permitted in Lobby Only Or Censorama, The Gods Must Be Lazy as well as It was Thirty Years Ago Today. Chris Farley was named a cast member of Saturday Night Live (SNL) in 1990 along with Chris Rock. Farley was known for his successful collaboration with other cast members including David Spade, Adam Sandler, Rob Schneider, Chris Rock, and others. This group of actors was often referred to as the Bad Boys of SNL. One of Chris Farley's most popular characters was Matt Foley. He was an over-aggressive motivational speaker. 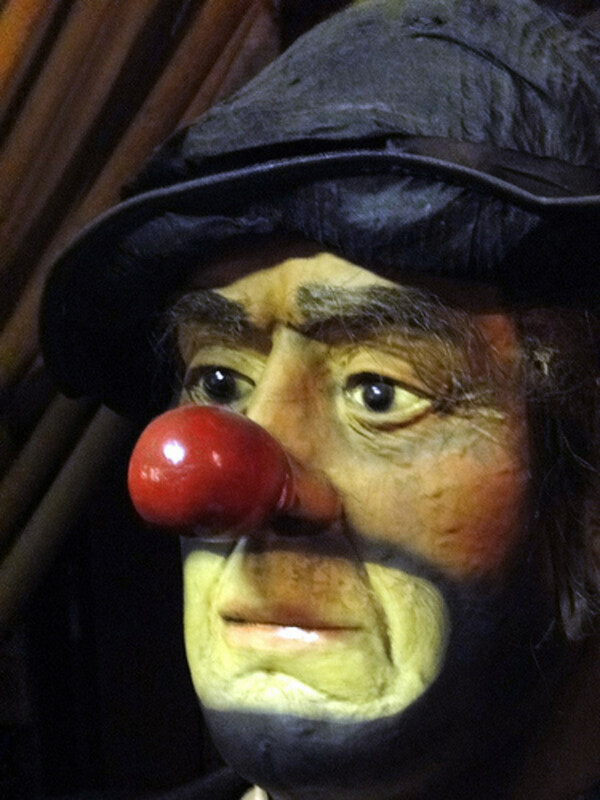 The character would remind other people during a skit that he lived down at the river in a van. The name for this character was taken from a real-life friend of Chris Farley. During a difficult time, this friend did live in a van down by a river. 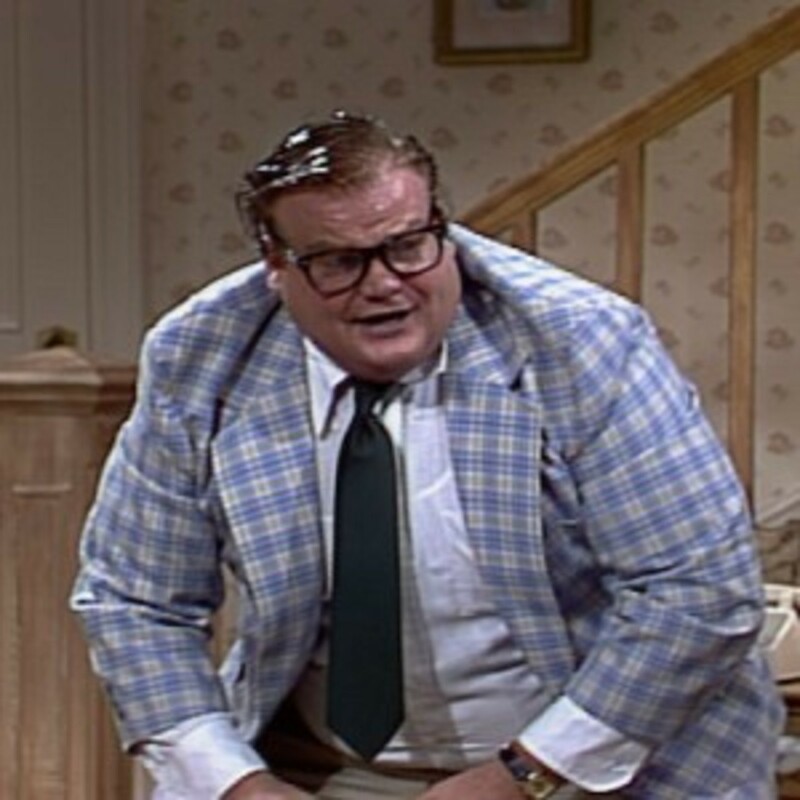 This real-life Matt Foley eventually became a Catholic priest. In 2015, he appeared in a documentary called I Am Chris Farley. In later versions of the Matt Foley Character, Farley would use other names. This depended on who he knew was in the audience. The real-life Matt Foley went to the show and gave Farley permission to use his name. After this, Chris Farley refused to change the name because he felt it was the best name for the character. One of Chris Farley's most popular character's was Todd O'Connor who was a stereotypical resident of Chicago and always shouted “Da Bears.” A very famous skit done by Farley occurred when he was a Chippendale dancer and performed with Patrick Swayze who was the guest host. He also did a stereotypical lunch lady as well as one of the Gap Girls who spent time at a local mall. Farley played Bennett Brauer who was a Weekend Update commentator and would talk about his hygienic as well as personal problems with quotes. Farley’s skit of the Chris Farley Show involved him getting very nervous with the unusual guests he interviewed and more. Chris Farley had a reputation for performing pranks in the SNL office. Farley and Adam Sandler would often make prank phone calls late at night from the SNL office in Rockefeller Center. Sandler would speak into the phone like an old woman and Farley would pass gas into a nearby phone. Farley was also known for mooning cars from a limousine. Many of his pranks involved him being naked. Chris Rock once said he probably saw Farley without clothes more often than Farley's girlfriend. While on the Conan O'Brien show in 1995, Adam Sandler said NBC fired him and Farley from SNL. 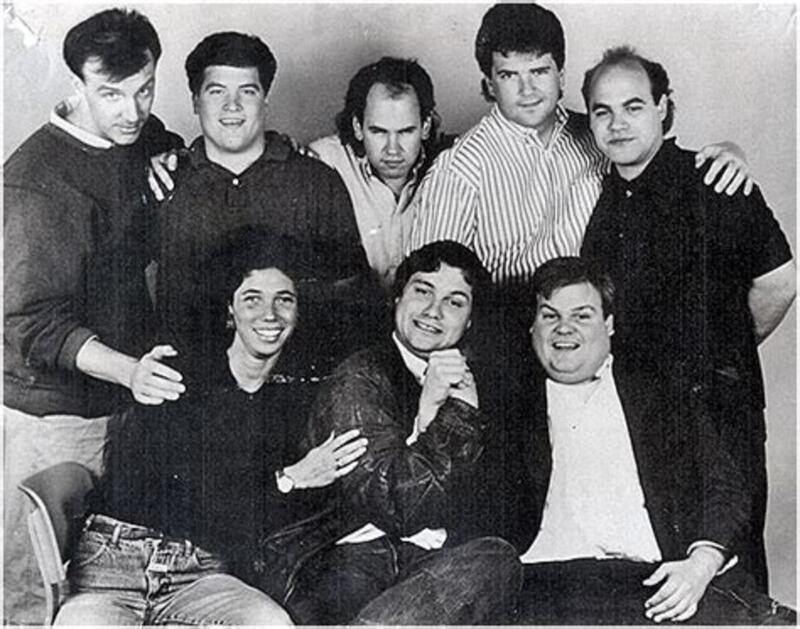 Farley and most of his fellow cast members were let go from their SNL contracts after the 1994-1995 season. Chris Farley then decided to focus his efforts on developing a movie career. 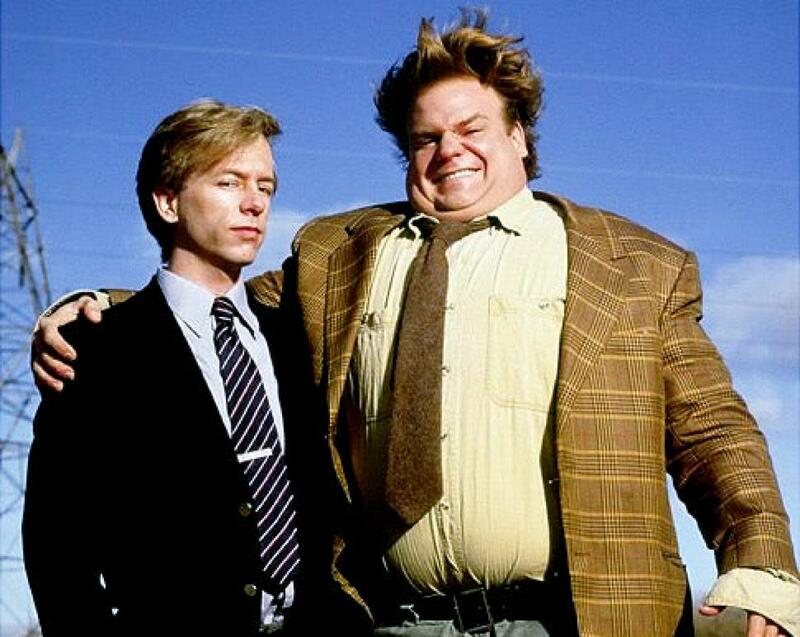 Farley with his SNL colleague and good friend David Spade co-starred in their first two major movies together. Farley and Spade made the movies Black Sheep and Tommy Boy. These two movies were a success at the domestic box office. Each earned around $32 million each and developed a significant cult following when the movies were made available on home video. The success of his first two movies brought Farley attention as a very bankable star in Hollywood. He was able to get the title role in the movie Beverly Hills Ninja. During its opening weekend, the movie was in first place at the box office. This is when Chris Farley's movie work started being affected by his drug and alcohol problems. The night of the premiere for the movie Tommy Boy, Farley was taken to rehab so he could start working on Beverly Hills Ninja. The movie Almost Heroes was postponed many times so Farley could complete his time in rehab. People close to Farley said he was sensitive about how people perceived hs comedy. The negative critical reactions to Tommy Boy is said to have really hurt his feelings. 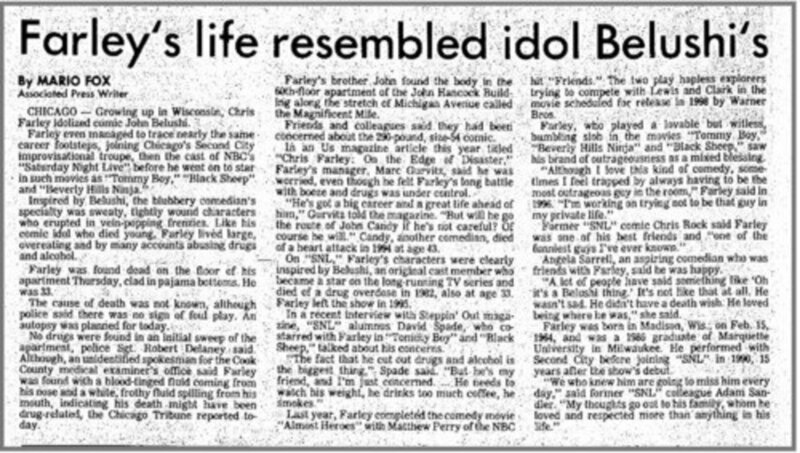 Chris Farley death was discovered by his younger brother John on December 18, 1997. He had died in his Chicago apartment located in the John Hancock Center. At the time of his death, Chris Farley was 33 years old. 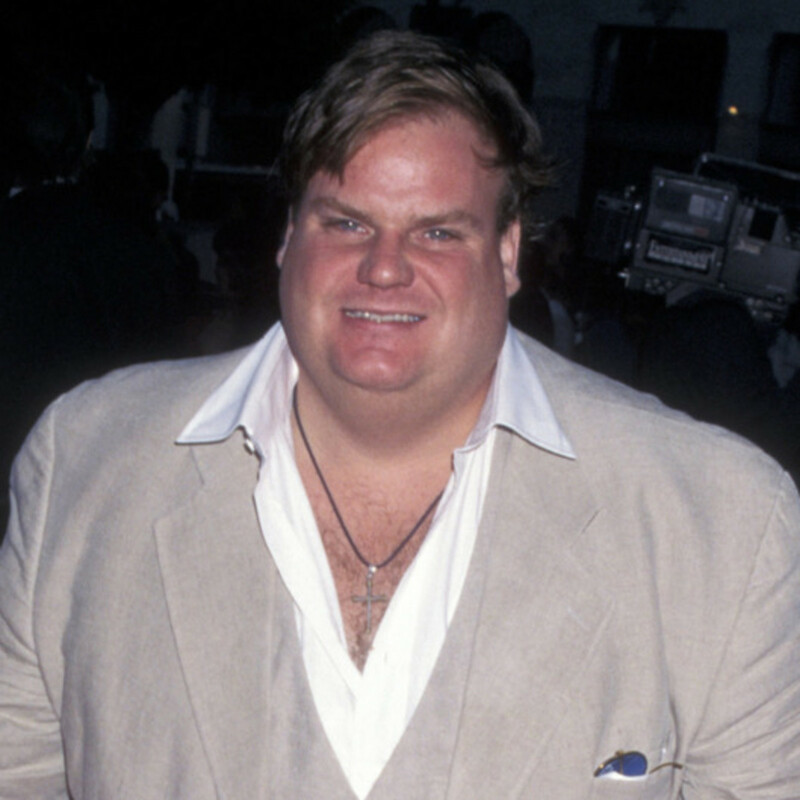 An autopsy was performed and showed Farley's initial cause of death was from an overdose of morphine and cocaine, which is known as a speedball. The autopsy also stated that advanced atherosclerosis was also a major contributing factor. It is often considered ironic that former SNL cast member John Belushi died of the same cause at the same age. Chris Farley was laid to rest during a private funeral service on December 23, 1997. He was buried in hometown of Madison, Wisconsin at Our Lady Queen of Peace Catholic Church. Hundreds of people attended. Many comedians and actors such as Adam Sandler, Dan Aykroyd, and others. 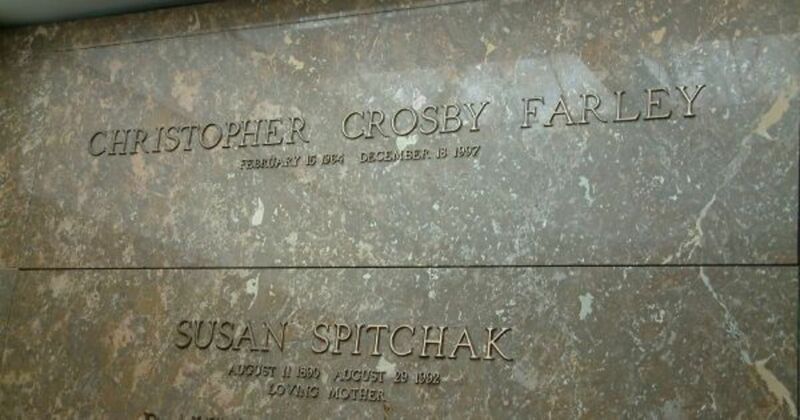 The Resurrection Cemetery in Madison, Wisconsin is where Chris Farley's remains are entombed. MsDora thanks. I agree. Such a tragic end to such a promising life. The details which we do not see on screen help us to see these actors as are real people with real struggles and it makes us want to root for them. So sad that Farley died soon, but he is being remembered fondly by many. Thanks for the information. Liz, thanks. such a tragic end to such a promising life. This is a very sad story. 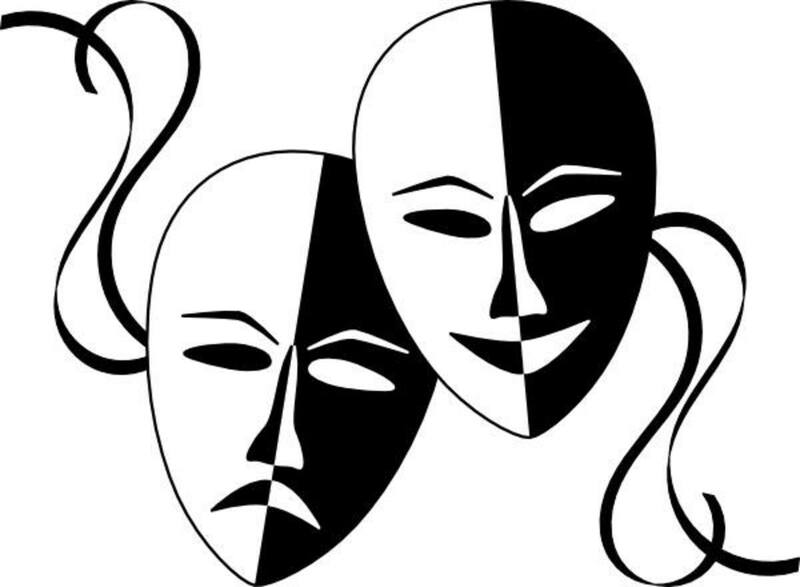 Fame and success in comedy and acting comes at a high cost for some.